The Christmas lights may be coming down in some neighborhoods to be replaced with a blue hue as 2015 arrives. 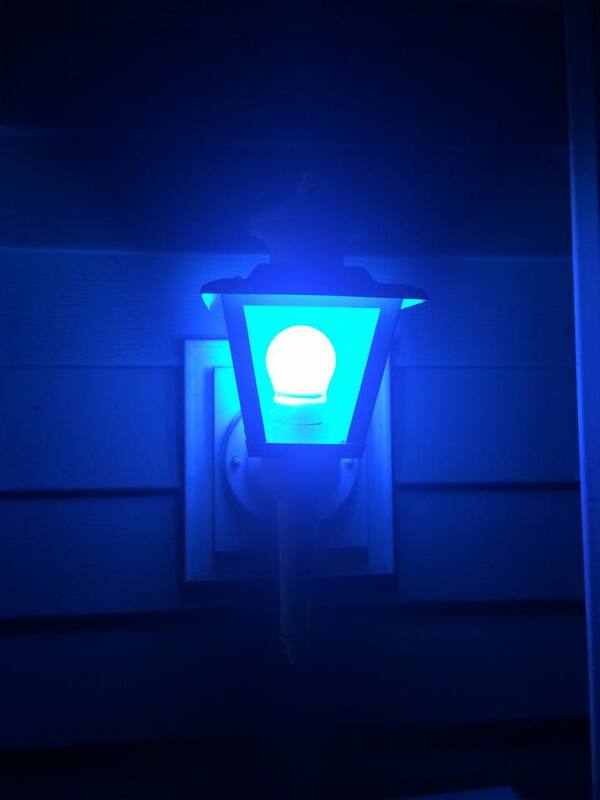 David Jessup is leading a social media campaign to support law enforcement with blue colored light bulbs. The idea has gone viral as many people like the opportunity to show support without marching and protesting. Other social media users on the Facebook page say blue is also a color associated with peace and is a good choice for the times. This entry was posted in Uncategorized and tagged blue, Blue Light Week, Christmas, Danita Blackwood, David Jessup, Facebook, law enforcement, marching, police, porch lights, protesting, social media campaign, support, viral by Danita Blackwood. Bookmark the permalink.